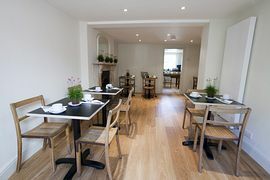 We are a family run, boutique B & B, in a beautifully restored Grade II listed Georgian House built in 1786. We are conveniently located just 50 metres from Kennington tube station. Our B & B is only minutes from Central London and all the City has to offer. 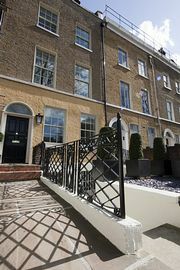 Kennington B & B fuses classical Georgian architecture with contemporary home comforts. 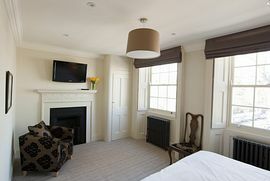 All our rooms have original fireplaces, corniced ceilings, original Georgian shutters and cast iron radiators. All bed linen is 400 thread count Egyptian cotton. 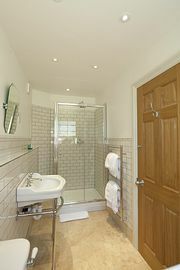 In addition, all rooms include wifi access, fitted oak wardrobes, flat screen TV and Lefroy Brooks bathrooms. The house has been divided into four suites and so is ideal for families, although it is possible to have just an en-suite room. A babysitting service - for a fee - can also be provided by arrangement. 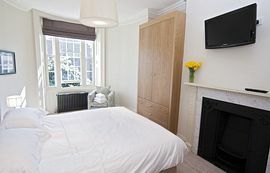 Situated less than 50 metres from Kennington tube station on the Northern Line. 18 minutes from St Pancras International to Kennington direct on Northern line.